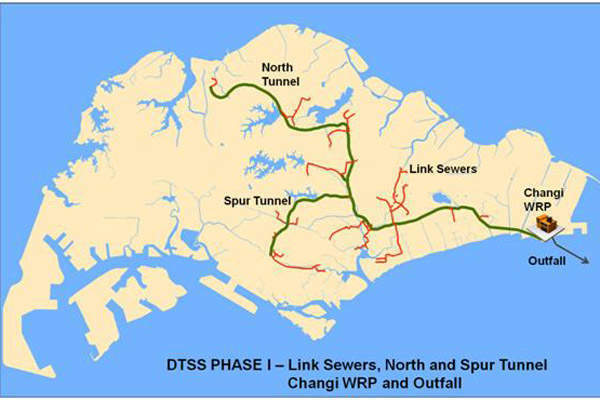 Phase I of the DTSS is comprised of north and spur tunnels and associated link sewers connected to the Changi WRP. The 30km long south tunnel connecting the Tuas WRP will be built as part of the DTSS phase II. Black & Veatch and AECOM signed the engineering contract for phase II of the DTSS in June 2014. NEWater factory at the Changi WRP started operation in 2010. The Deep Tunnel Sewerage System (DTSS) is a massive integrated project being developed by the Public Utilities Board (PUB) in Singapore to meet the island country’s long term clean water needs through the collection, treatment, reclamation and disposal of used water from industries, homes and businesses. The used water collection and purification project will have 100 years of maintenance-free design life. The project has received a number of awards and recognitions, such as being named "Water Project of the Year 2009" during the Global Water Awards ceremony in Zurich, Switzerland. The Greater Colombo Wastewater Management Project, located in Sri Lanka, is designed for the Colombo Municipal Council (CMC) to provide improved wastewater management services for Colombo’s 838,000 urban and suburban residents. The project is being developed in two phases. Construction on the first phase was completed in 2008 and the second phase is scheduled to begin in 2016, with completion by 2022. The project involves the construction of two large tunnels, 6.5m in diameter and 80km long in total, located about 50m below the surface, to carry sewage to three centralised water reclamation plants (WRP). The WRPs will treat and purify the sewage into clean, high-grade reclaimed water to be supplied under the brand name NEWater. The treated effluent will be discharged through deep sea outfall pipes into the straits of Singapore. The first phase of the DTSS project was completed with an investment of $2.7bn and is comprised of a deep tunnel system running 48km long to channel the flows of water from existing gravity sewers to the Changi WRP in the east and Kranji WRP in the north. The $323.5m tunnel work, split into six segments, was performed using eight earth pressure balance tunnel boring nachines (EPB TBM) of 7.2m diameter each. The tunnels were lined with a corrosion protection lining (CPL) system involving a high-density polyethylene (HDPE) lining over 9in thick unreinforced in-situ concrete to reduce the harmful effects of sulphuric acid generated by the high sewage temperatures. The first phase also involved 60km of link sewers and two 5km-long deep sea outfall pipes. A NEWater factory using advanced membrane technologies was built on the rooftop of the 176 million gallons per day (mgd) capacity Changi WRP in 2010. "The used water collection and purification project will have 100 years of maintenance-free design life." 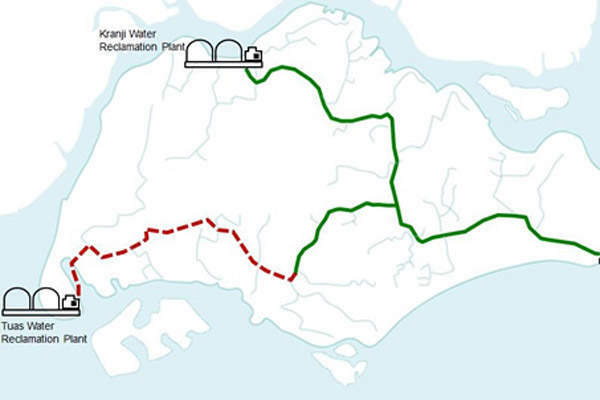 DTSS phase II will extend the tunnel system to the west of Singapore through a 30km-long south tunnel, 70km of link sewers, the Tuas WRP and a 12km deep-sea outfall. The new Tuas WRP and an advanced NEWater factory are the main elements of DTSS Phase II. Upon completion, the NEWater factory at the Tuas WRP will contribute to 55% of the region’s water demand. The compact design of the Tuas WRP will reduce manpower and energy requirements. Advanced technology will be used to generate less sludge, thus reducing the cost of sludge disposal. 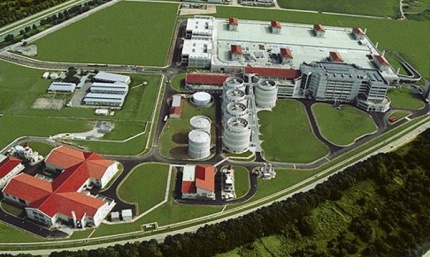 Singapore’s National Environment Agency (NEA) will build an integrated waste management facility (IWMF) at the Tuas WRP site, which will combine used-water and solid-waste treatments to amplify energy and resource recovery. On completion of phase II, the existing Ulu Pandan and Jurong WRPs and intermediate pumping stations will be decommissioned and the occupying lands will be cleared for further development. The DTSS project aims to improve Singapore’s water conveyance and treatment system, while reducing the land occupied by the used-water infrastructure on the island by 50%. The completion of DTSS phase I has reduced the land previously used by the WRPs and intermediate pumping stations from 300ha to 190ha. Phase II is further expected to reduce the land to 150ha. The freed-up land can then be used for other higher-value developments. The project is also designed to efficiently recycle used water with minimal environmental pollution. 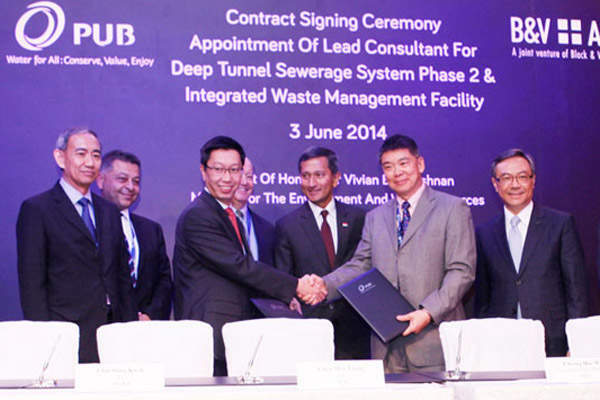 "Upon completion, the NEWater factory at the Tuas WRP will contribute to 55% of the region’s water demand." CH2M Hill and its joint venture partner Parsons Brinckerhoff conceptualised and managed the planning, design and construction of the DTSS phase I.
Samsung Engineering and Construction was awarded the construction contract for a portion of the tunnels under DTSS phase I. Other contractors involved in Phase I included the TMCR Group, Ah Boon Civil Engineering and Building Contractor, Sembawang Engineers and Constructors, Penta Ocean Construcion Company, KTP Consultants and AKS Lining Systems. Hume Concrete Marketing supplied the high precision concrete tunnel lining for the project and the HDPE liners were procured from Agru America. Ho Lee Construction was the sanitary and plumbing contractor for DTSS phase I. Yokogawa Engineering Asia supplied flow metres and transmitters to the Changi WRP, whilst ABB provided power solution and automation for the WRP. Black & Veatch (B&V) and AECOM signed a joint venture contract with PUB in June to provide engineering services for the second phase of the DTSS project. Ramboll and KPMG are supporting the B&V-AECOM joint venture in the contract execution.